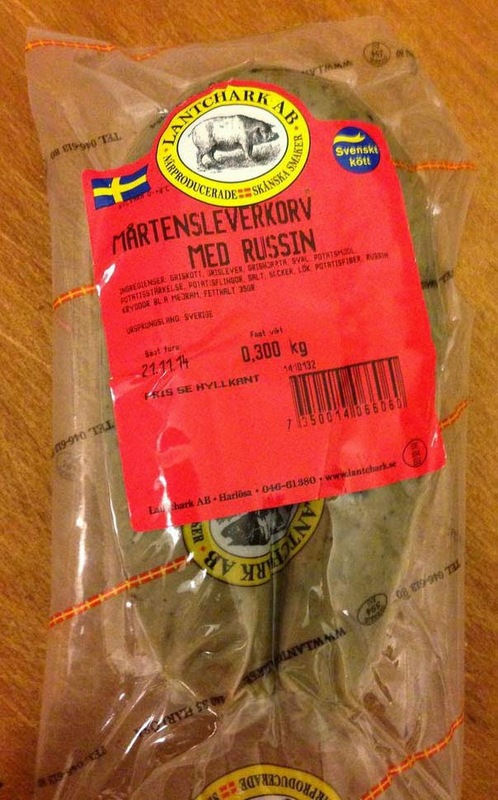 Mårtensleverkorv med russin is a liverwurst flavoured with raisins. It's a limited variety sold during November when the south of Sweden, particularly the province of Scania where I live, celebrates St. Martin's Day (Mårtensafton) with a big goose dinner, blood soup and this kind of liverwurst apparently. Personally I never heard of anyone eating liverwurst at St. Martin's Day but this special liverwurst is produced by several companies, so it must be in demand. This one specifically is made by Lantchark, a small, local meat producer in the heart of Scania. I think liverwurst is more common down here in the south parts because of the closeness to the sausage's native Germany. 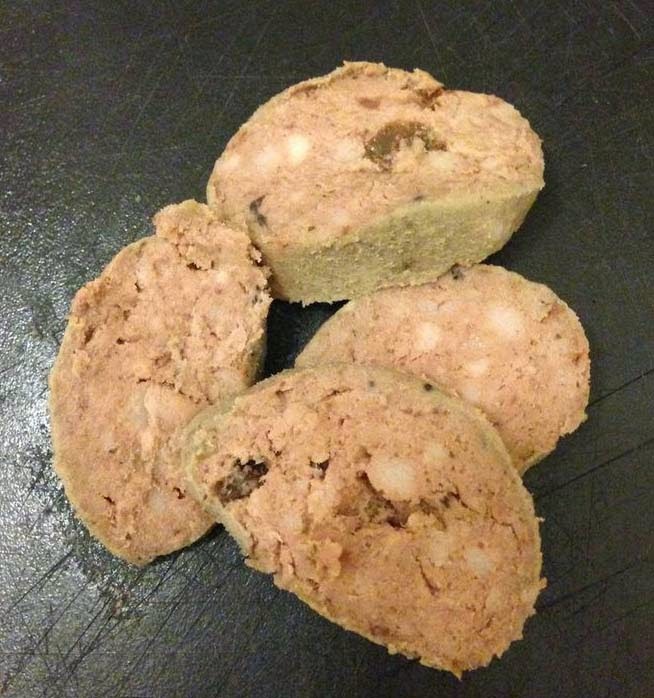 The liverwurst has a full flavour of creamy liver, allspice and cloves. The raisins doesn't do much for the overall taste but you know when you bite into one and their subtle sweetness. There's also a firmness which makes it more sausage-like than other brands which seems more like pâtés. It's a good quality product and you know Lantchark has their heart into what they're doing.